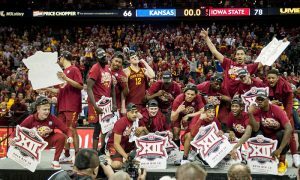 The Big 12 Men’s Basketball Tournament continues Thursday at the Sprint Center in Kansas City. HeartlandCollegeSports.com will be there for the entire event. 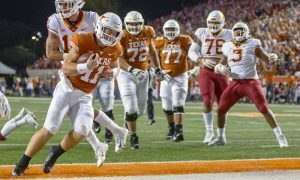 Today we preview the first game of the Thursday morning session — Iowa State vs. Baylor. Season series (Baylor swept 2-0): Baylor def. Iowa State, 73-70, in Waco, Texas, on Jan. 8; Baylor def. Iowa State, 73-69, in Ames, Iowa, on Feb. 19. Winner gets: a Friday semifinal game against an opponent to be announced. Iowa State: Shayok. He missed the next-to-last game of the Big 12 slate with a sprained left baby toe. He was able to play against Texas Tech in the finale and scored 17 points. Shayok should be good to go on Thursday, barring a setback. Iowa State is at its best when he’s a big part of the action on offense. He finished the season with a 17.8 points per game average in Big 12 action, second only to Kansas’ Dedric Lawson. He also earned All-Big 12 First Team honors. If he produces, there’s a good chance ISU is in this game. Baylor: Mason. His status is less certain. He has a bruised big toe and missed the finale with Kansas. 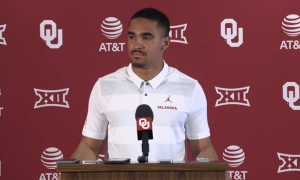 He’s battled this toe issue for more than a month but has still managed to put up 15.1 points per game and he earned All-Big 12 Second Team honors. Baylor is a different offense when he’s on the floor. 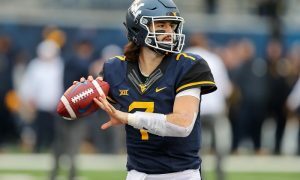 He is Baylor’s best passer in traffic and he’s learned where to get the ball to players like Kegler and Gillespie to take advantage of their skill set. He a solid 3-point shooter as well. 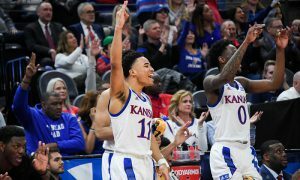 If he doesn’t play, Jared Butler likely takes his place in the lineup and he scored 31 points against Kansas on Saturday. Iowa State: No Big 12 contender struggled more down the stretch than the Cyclones, who went 4-6 after Feb. 1 and fell from a tie for the Big 12 lead into fifth place. What happened? Defense. 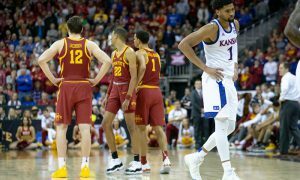 It had always been a bit of a liability for the Cyclones during the season, but after Feb. 1, despite the fact that they continued to fill it up offensively, the defense just got away from them. 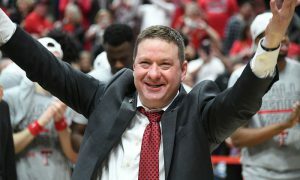 Twice during the stretch the Cyclones gave up more than 80 points and one time they gave up 90 points (to West Virginia). Three of the Cyclones’ four wins came when they help opponents below 70 points. If you’re looking for a line of demarcation, there it is. Baylor: This season has been one of Scott Drew’s best coaching jobs. But lately the Bears have run into a few limitations with their small ball lineup. 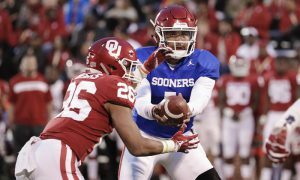 They lost their final three games of the league slate, and while the losses to Kansas State and Kansas were forgivable, the one to Oklahoma State was not. They’re still a high-effort team and one of the best rebounding lineups in the Big 12, despite the fact that they have no 7-footer. Gillespie has emerged as a solid inside presence and Kegler has the ability to take over games. Butler and Devonte Bandoo can start or come off the bench, and both can heat up from the 3-point line. Where the Bears haven’t been great is the free-throw line, where they’re shooting 67.3 percent in Big 12 action, good for ninth place. Iowa State: Iowa State scored 77.7 points per game this season, best of any team in the conference. 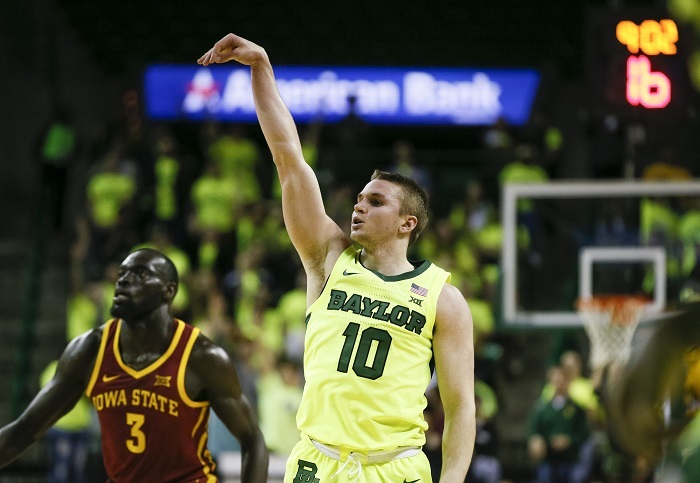 Baylor: The Bears have the best rebounding margin in the Big 12 (plus-6.4 ) and are the only team in the conference in the Top 3 this season in offensive and defensive rebounding. Who wins? : There’s an old adage — it’s hard to beat a team three times in a season. That’s the spot the Bears are in right now, having beaten the Cyclones in both regular season matchups. These teams know each other well at this point and it’s a good matchup for both of them because neither team boasts a lot of height and the offense flows through the guard play. I don’t believe Mason not playing on Thursday would hurt the Bears as much as, say, Shayok not playing for the Cyclones. The Bears have a ton of backcourt depth to draw from. ISU’s Lindell Wigginton was the Big 12 Sixth Man of the Year, but Bandoo is just as good in that role for the Bears. Baylor has played better of late, though finishing the season with a three-game losing streak is not ideal. Where the Bears really hurt the Cyclones in their last meeting in Ames was on the glass, and that’s where the Bears, I think, will win this game — rebounding and second-chance points. Baylor advances to the semifinals.